Data security is becoming the prime concern these days. In the daily and day-to-day activities, data is required to be shared, whether it is a simple chat message or even the crucial business message or mail. 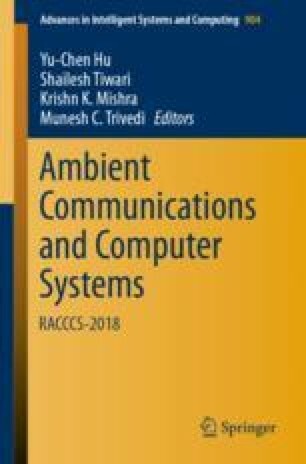 In this paper, the unique concept of using the ECG reports as the authentication medium is proposed. First, the ECG report of the person is analyzed using sin charts and compared with the database. Before processing to the next phase, the user has to validate the transaction ID and SHA key generated using the. The next phase of the message transfer is further secured by providing the transaction id and encryption key. After that, the fingerprints of the users are validated again using the SHA-based concept of validation, and then to transfer data, Diffie–Hellman algorithm is used. In the dissertation, the double level security is maintained and implemented by making use of ECG reports and using the fingerprints. From the previous approaches and base papers, we have speed up the comparison process and reduce the time involved by making use of SHA-based analysis, and the double authentication helps us to deal with hackers in the better ways as compared to the previous approaches as now double efforts will be requirement by the hackers to break through the whole process. The uniqueness of the ECG report will act as uniquely validating the identity of two persons.